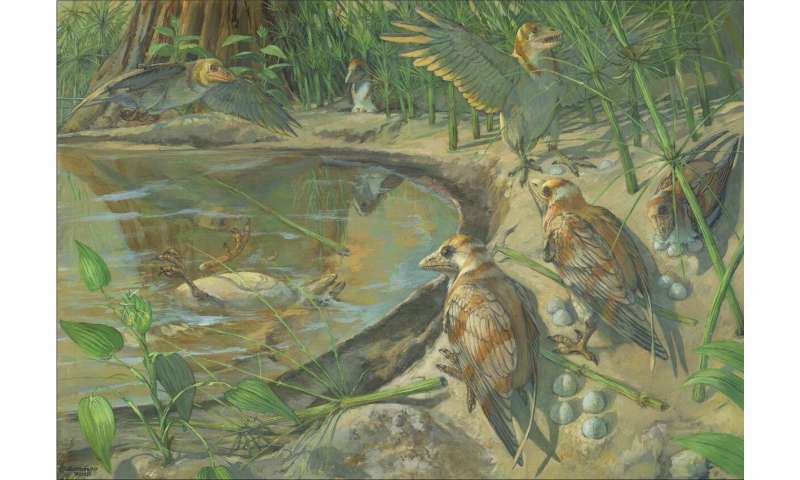 A team of scientists led by Alida Bailleul and Jingmai O'Connor from the Institute of Vertebrate Paleontology and Paleoanthropology (IVPP) of the Chinese Academy of Sciences reported the first fossil bird ever found with an egg preserved inside its body. Their findings were published on March 20 in Nature Communications. 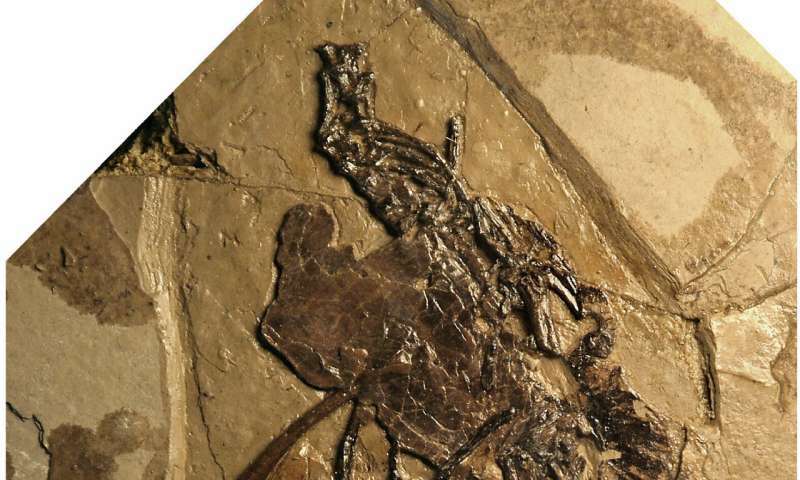 The new specimen, representing a new species, Avimaia schweitzerae, was discovered in 110-million-year-old deposits in northwestern China. It belongs to a group called the Enantiornithes ("opposite birds"), which were abundant all around the world during the Cretaceous and co-existed with the dinosaurs. These abnormalities suggest that the preserved egg may have been the cause of death of this "mother bird." Egg-binding, in which the egg becomes stuck inside the body causing death, is a serious and lethal condition that is fairly common in small birds undergoing stress.